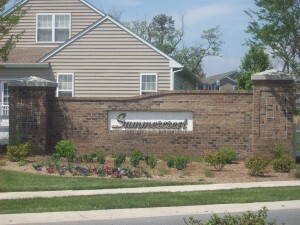 The Summercrest community is located in beautiful Rehoboth Beach, Delaware. This Atlantic Ocean resort town provides homeowners with beach living just blocks away from the Coastal Highway. This Summercrest Rest Rehoboth Beach community features a neighborhood of single family homes with a wide variety amenities and features that truly make this the perfect place to live within the area. The community of Summercrest in Rehoboth Beach offers a limited number of lots available in single family homes. There are absolutely no impact fees for homeowners, an excellent benefit when purchasing a home within this community. Starting in the low $280’s, these traditional styled homes include green home energy saving features, designer kitchens with granite counter tops and maple cabinetry, conditioned crawl spaces, central vacuum systems, recessed lighting, ceiling fans and more. Depending upon your lot choice, basements may also be available within your Summercrest home. Hampton-inspired exteriors give all homes attractive curb-appeal. Summercrest homeowners are able to take advantage of many different on-site amenities that truly provide resort-style living within their own neighborhood. The community clubhouse includes a state-of-the-art exercise room, swimming pool and tennis courts take residents are able to use on a regular basis for absolutely no fee. Sit back, relax and enjoy all of the perks that can be found at Summercrest when you opt to purchase a home within this resort town community. One of the biggest perks to living in Summercrest is the close proximity to the beach. Step outside of your door and you will find a variety of premier shopping destinations, delicious restaurants, entertainment venues and more. The beach is the perfect spot for sun bathing, swimming, fishing, boating and enjoying a stroll along the boardwalk.When you live in Summercrest Rest Rehoboth Beach, Delaware, you are able to enjoy all that the area has to offer each and every day. This great neighborhood is the perfect place to raise a family. Area schools include Richard A Shields Elementary School, Beacon Middle School and Cape Henlopen High School. This excellent school system ensures that your children will receive a good education with some of the highest standardized test scores in the area. Residents can learn more about the Cape Henlopen School District and the different classes that they offer by visiting their website.